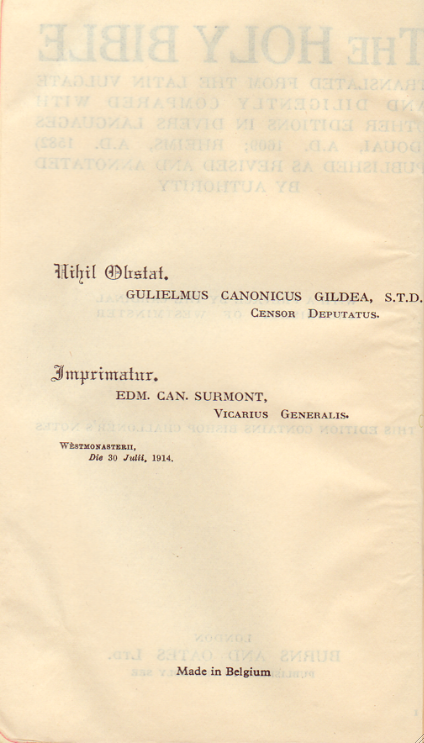 Images Cover, Title page, Title page reverse. 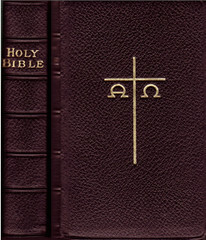 Comments This edition is gilt edged and leatherbound; small octavo with 1366 and 378 pp. 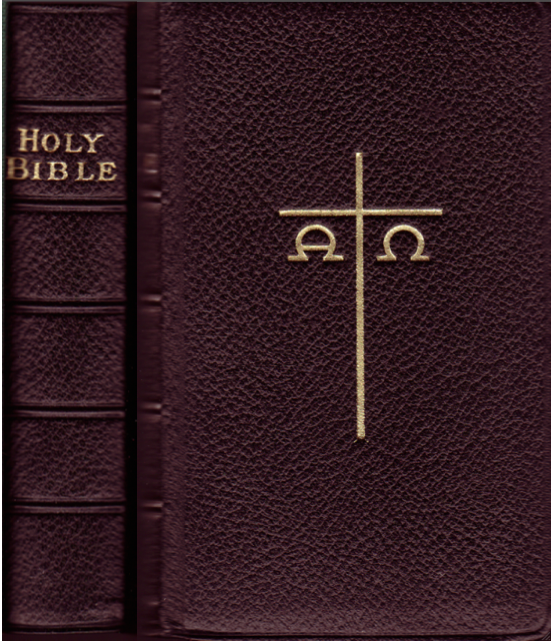 Scripture text in two columns, annotations and references in the footnote. 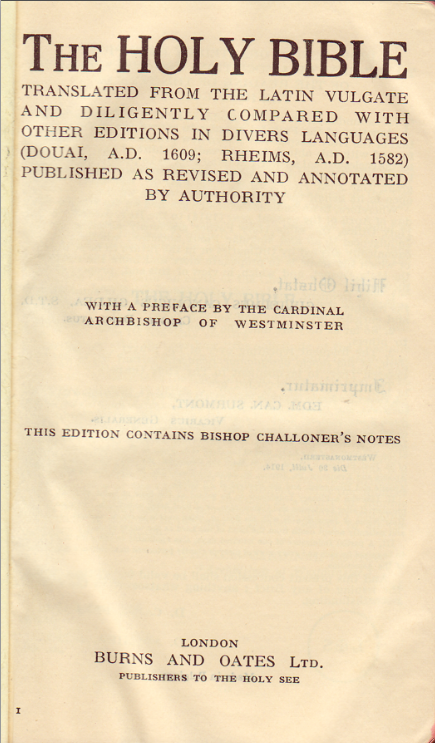 The Archbishop of Westminster (London), Francis Cardinal Bourne wrote the preface dated Jan. 14, 1914. 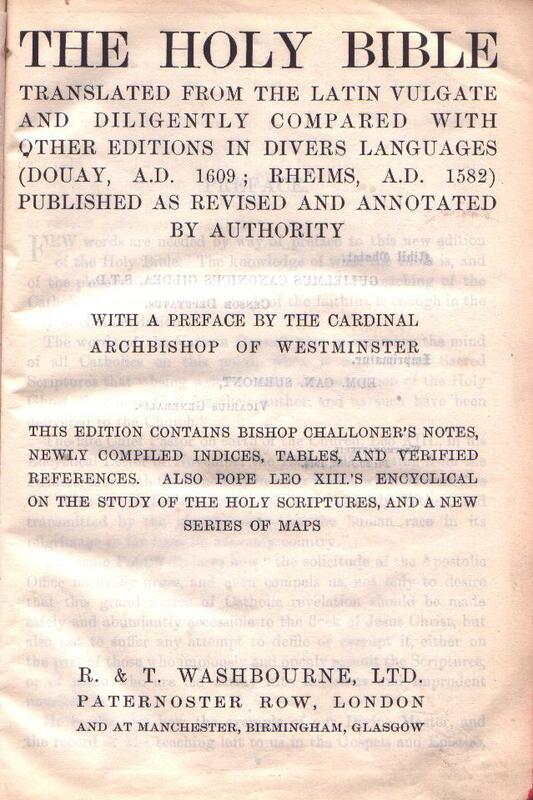 It was printed in Belgium, which is the very region (Flanders) to which the town of Douay (today Douai near Lille, France) belongs. Link to reprints of the Burns and Oates Small 16mo. Publisher R. & T. Washbourne, Ltd., London, etc. Comments This is a somewhat larger variant of the above. 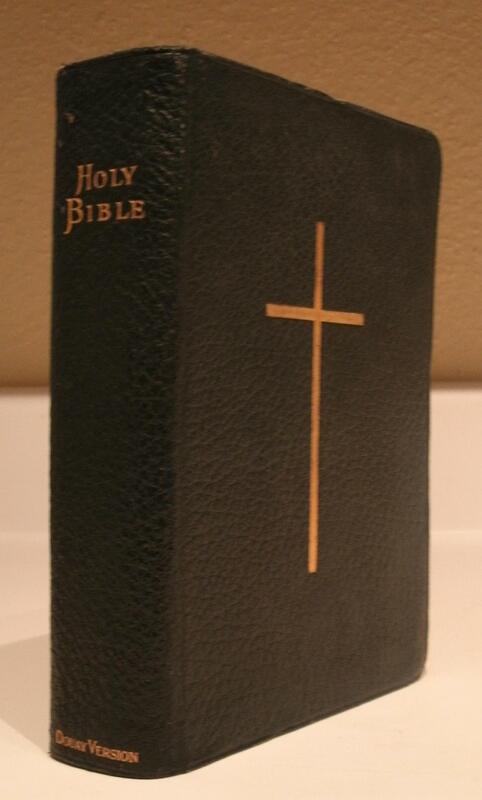 The Old Testament has 1435 pp and the New Testament has 399. Apparently the earliest copies appeared with the lone imprint of R. & T. Washbourne, with later copies adding Burns and Oates after the two companies merged circa 1920. 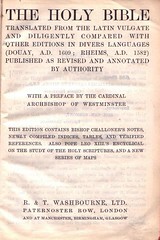 Unlike the smaller edition, this states "Made and Printed in Great Britain" on the title page verso. Link to reprints of the Burns and Oates Large 16mo.